I Was a Teenage Werewolf has an interesting reputation. 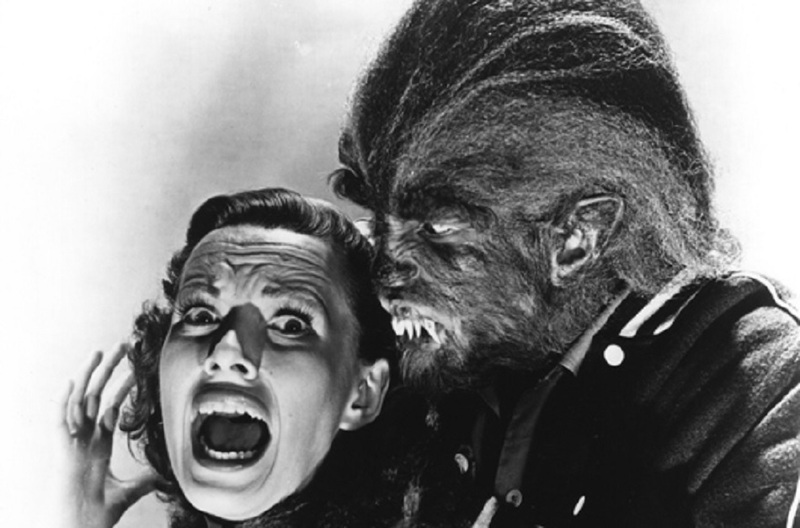 It’s often recognized as one of the worst werewolf pictures in existence, and yet, it’s a whole hell of a lot of fun to watch. Sure, things get sketchy when the ensemble breaks out into song – I think we could all do with that – but you take those musical numbers out of the equation and there’s a lot of good stuff to see here. An extremely young Michael Landon stars as the uber hothead Tony Rivers. And when I say hothead, I really mean it. Say one sideways thing to this guy and he’s going to lay you out. It isn’t long before Tony is given instructions to seek some psychological assistance, and reluctantly he does just that. What he doesn’t know however, is that the quack treating him is also drugging him, slowly coaxing a werewolf to the surface. Yep, those pesky scientists turned a kid with a temper into an outright savage beast. I won’t tell you where the story heads from there, though it is indeed interesting and it will definitely hold your attention. Phillip Scheer’s makeup work is particularly interesting. The wolf looks a little goofy, but the makeup is applied in a very unique manner, the only conclusion I can see is that Scheer wanted Landon to be able to better project emotion through a lot of flexibility with the makeup. In truth, it kind of works. When Tony isn’t just snarling, when he’s got a look of compassion or fear on his visage, the makeup work shines. It’s those still shots that look a little embarrassing. Somehow this film still holds up quite well. Landon is awesome and he’s got a couple solid supporting performers to enhance his performance. The direction is clean and the editing isn’t too shabby for a 60-year old film. Don’t look into I Was a Teenage Werewolf anticipating a frightening film. Rather, pick this one up knowing you’re going to have a good time, with a few laughs and an awesome performance from good old Michael “Charles Ingalls” Landon. It’s a good beer flick, as well. Take a swig every single time Landon’s character flies off the handle and you might end up in a hospital with alcohol poisoning. But hey, what’s a little risk in the name of great fun?